4th Annual Back-to-School Kickoff: Attend, Achieve, Graduate! 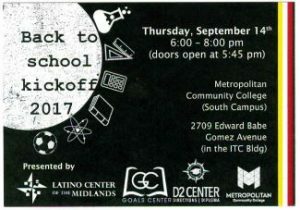 The 4th Annual Back-to-School Kickoff event was held at Metropolitan Community College (MCC) South on Thursday, Sept 14, 2017. 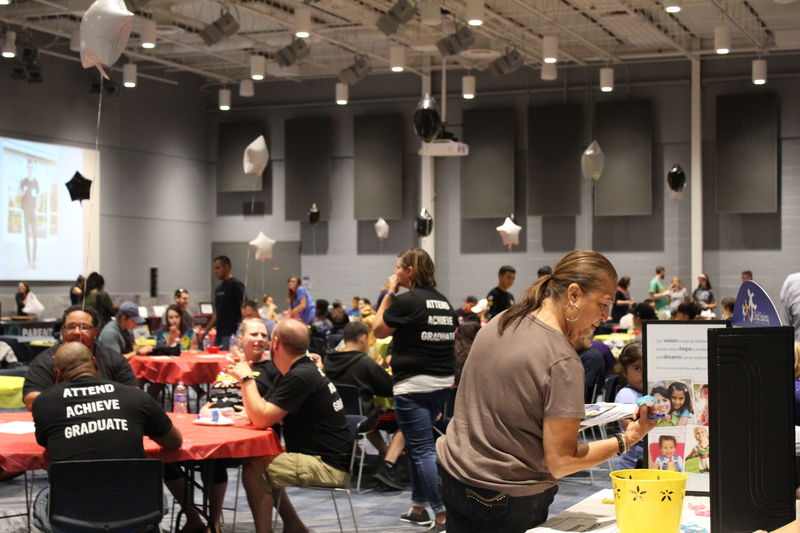 This year’s theme was “Attend, Achieve, Graduate!” Sponsors of this family event were the D2 Center, the Latino Center of the Midlands, the GOALS Center, and MCC. Over one hundred students and family members attended along with many more community agency representatives, volunteers, and staff. 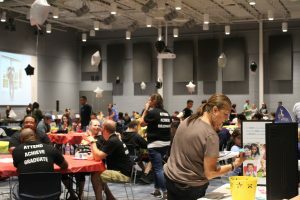 Activities included breakout sessions, a motivational speaker, dinner, and a raffle for prizes. Thanks to organizers and attendees for getting the school year off to a great start!